Reports suggest that the siege is now over and that 27 bodies have been recovered at the hotel. “We mourn with families of the innocent people who lost their lives,” says African Union Peace and Security Commissioner Smail Chergui. News agency AFP says 18 bodies have been recovered so far. Two gunmen are among those killed. Al-Mourabitoun, a North and West African militant jihadist group, has claimed responsibility for the Radisson Blu hotel attack says Reuters, however the claim could not be verified. The group, whose name translates to The Sentinels, is an offshoot of Al Qaeda and also claimed responsibility for an attack on a popular restaurant in Bamako earlier this year. 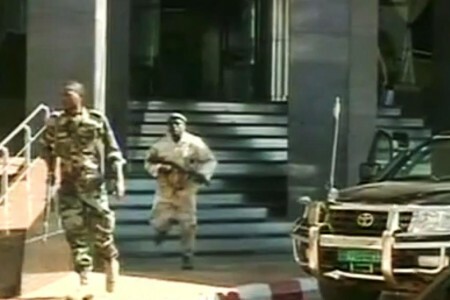 Footage from Mali’s state broadcaster shows security forces entering the Radisson Blu hotel. The broadcaster is also reporting that 80 hostages have been freed, however Mali’s Security Minister Salif Traore says 30 have been freed. Mongi Hamdi, who is head of the UN mission in Mali, has condemned the terrorist attack and says it is supporting Malian troops with security reinforcements and medics. Who are among the hostages? At least seven Chinese nationals. Guinean singer Sekouba Bambino, who managed to escape. A dozen Air France crew members, all of which have escaped. Turkish Airlines says they have 6 crew members in the hotel, at least three of which have been released. It is believed that at least 3 hostages have been killed. According to the AFP news agency, Malian troops are now storming the hotel. Mali’s security ministry says at least three hostages have been killed. 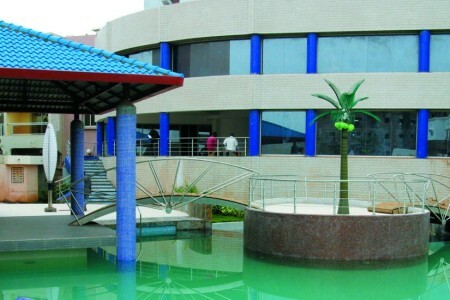 Gunmen have taken 170 people hostage at the popular Radisson Blu hotel in Bamako, Mali. “The attack is ongoing,” says UN spokesperson Olivier Salgado. “As per our information, two persons have locked in 140 guests and 30 employees,” says Christiane Reiter, senior director of corporate communication with Rezidor Hotel Group, which operates the hotel. The attack began early Friday morning (November 20) when gunmen gained access to the American-owned hotel, which employs strict security measures that include stopping cars down the street and screening bags. It’s believed the gunmen forced their way through the security barriers, reportedly injuring at least two security guards. According to Reuters news agency some hostages, including those able to recite verses from the Koran, have been released. The Malian military and United Nations troops are on scene. It’s not clear who is behind the attack at the 190 room hotel.